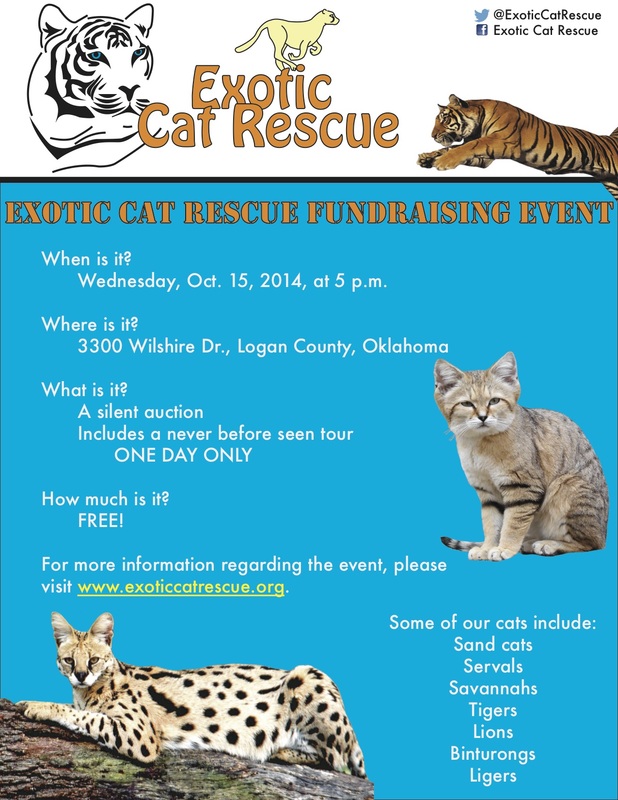 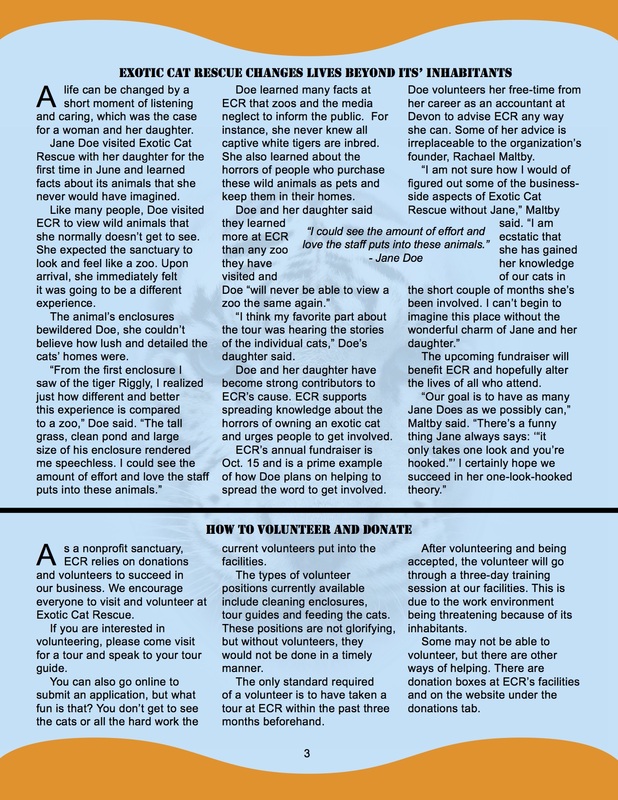 For this class, I developed a fake non-profit organization called Exotic Cat Rescue. 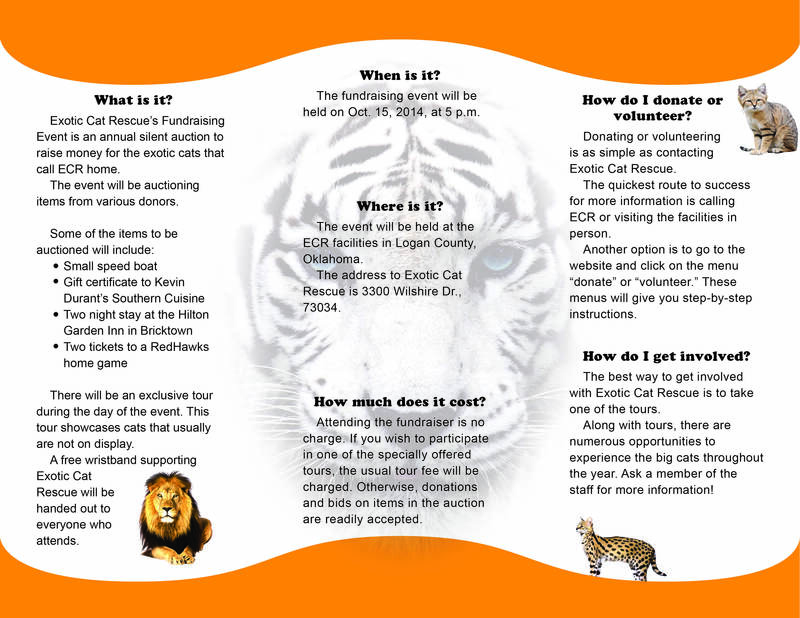 This organization reflects my passion and disgust towards the big cat black market. 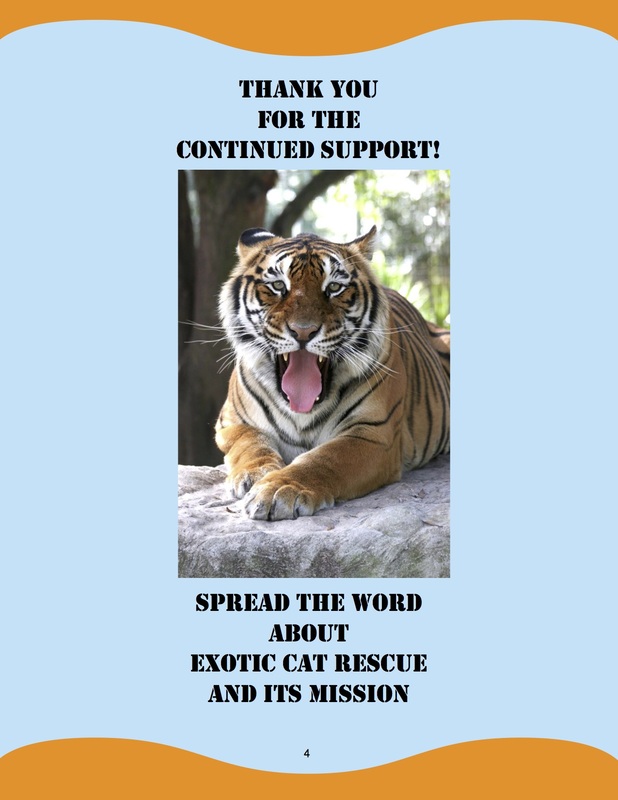 I believe that if the media stops glorifying big cats it will drastically decrease the number of exotic cats in American backyards. 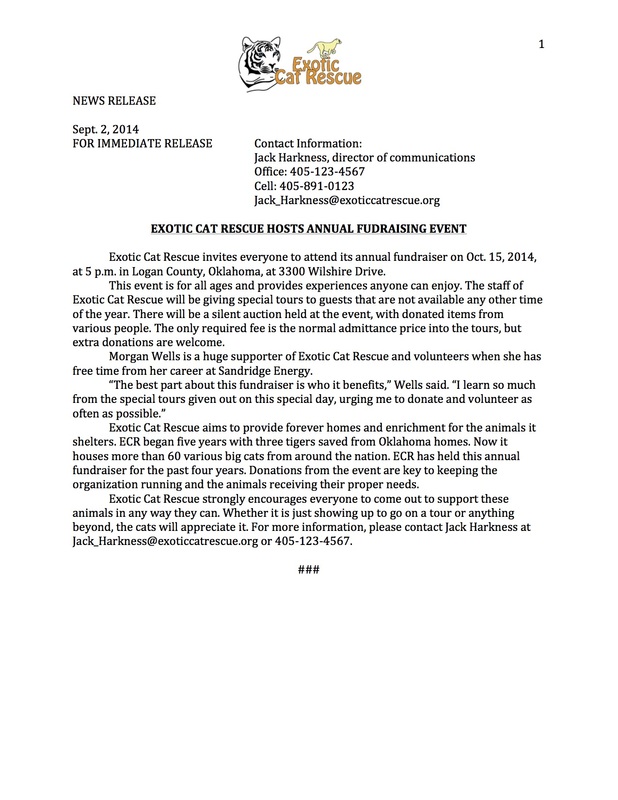 Exotic Cat Rescue’s mission is to eliminate privately-owned exotic cats and educate those that wish to learn more about the subject. 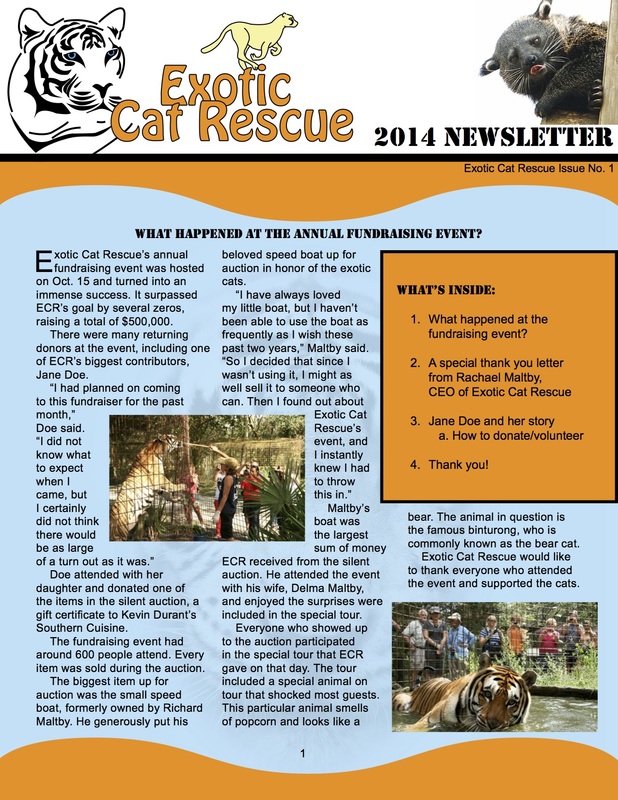 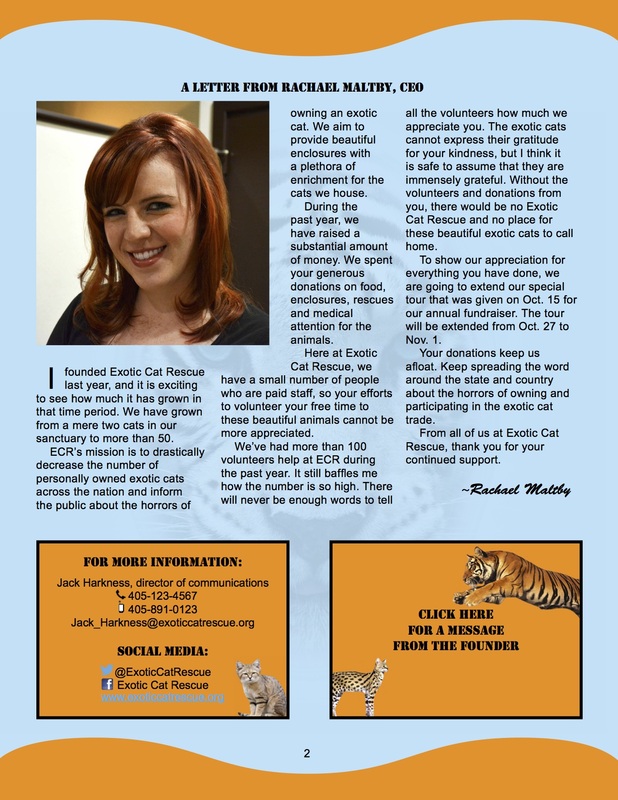 I created media and copy for Exotic Cat Rescue throughout the semester. 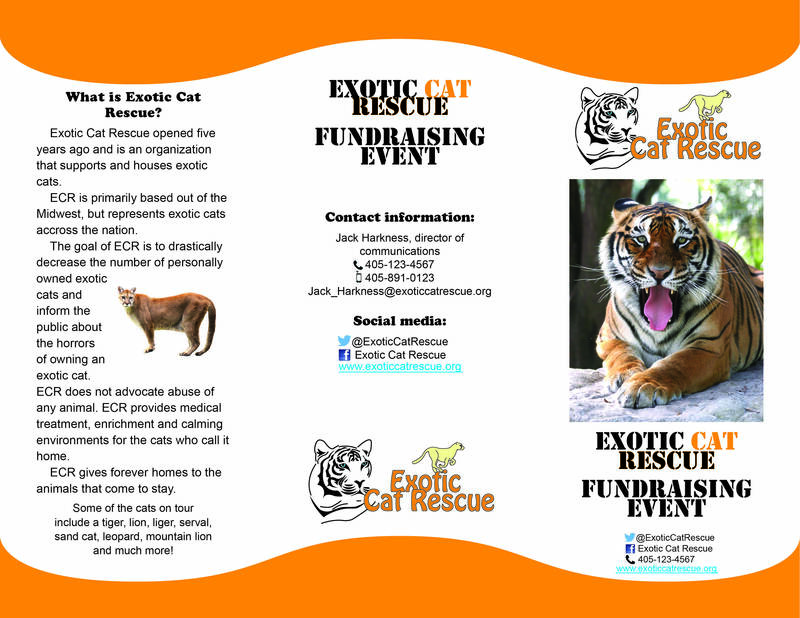 For this class I created a logo, slogan, news release, newsletter, brochure, flier, public service announcement and persuasive speech.